Many factors contribute to a youthful face, above all an expressive, penetrating gaze. With the passage of time, wrinkles and lines begin to appear and these features alone can give your face a heavy, tired look. Skin also becomes thinner, more sensitive and more reactive. Iridium is a specifically formulated program to combat skin ageing and to treat eye contour imperfections in a targeted, effective manner. 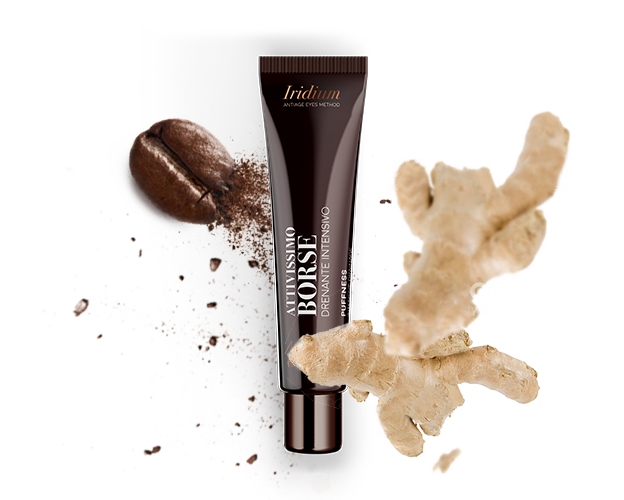 Special formulas that are the result of advanced cosmetic research counteract phenomena that undermine the freshness of your look, acting with visible effectiveness on the thin, sensitive skin, brightening it and plumping skin tissue. 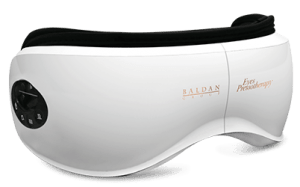 Iridium Eyes Pressotherapy is a special eye mask which, through an intelligent vibrating massage, warms and soothes the eye contour. 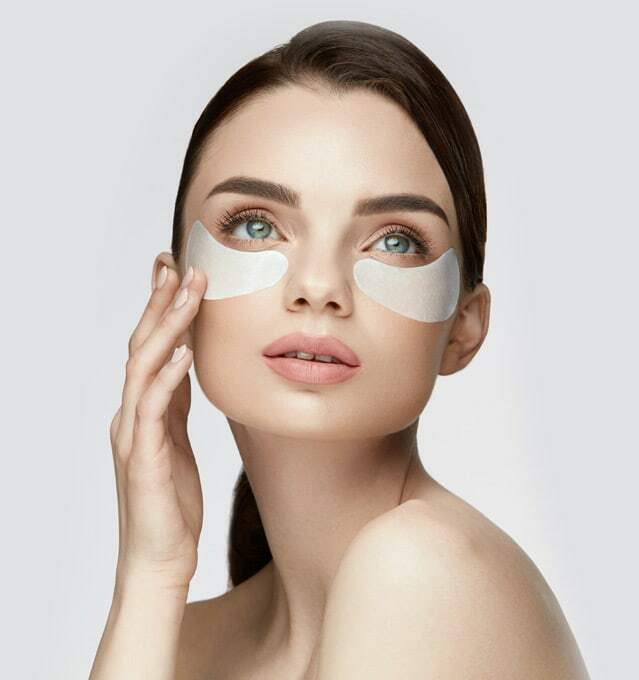 A complete beauty treatment for the eye area based on native collagen. Its action is enhanced by long-chain hyaluronic acid, mixed directly in its special container at the time of use. 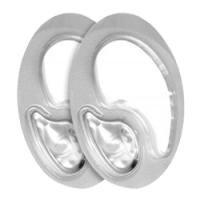 Its instant effect makes it an ideal product to use whenever you notice the need to stretch and relax your eye features. 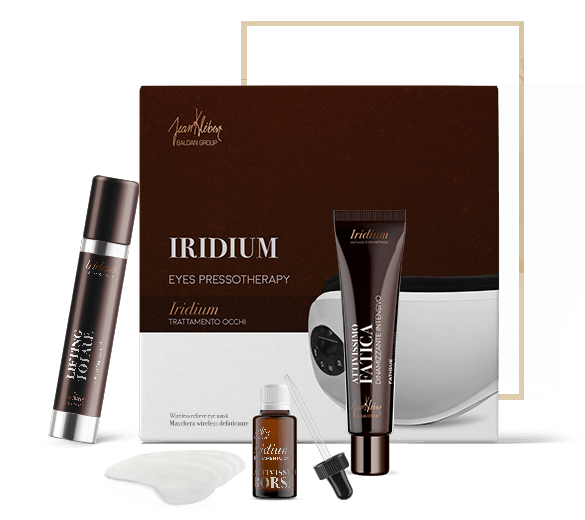 Iridium is a specific eye contour program that can counteract, prevent and correct the ageing process around the eyes.